We all knew schoolyard bullies, and, if we were lucky, they left us alone. The less fortunate sometimes suffered devastating, long-term effects from bullying. Society has increased its focus on school bullying over the years, but new challenges have arisen as bullying has moved into cyberspace with widespread impact. We continue to strive, however, to provide children with safe, healthy environments in which they can flourish and meet their full potential. But what about our workplaces? Sadly, research indicates many workers are targets of “workyard” bullies. A 2017 Workplace Bullying Institute survey (www.workplacebullying.org) revealed 19% of adult Americans have experienced abuse on the job; 37% (including witnesses) have been affected by workplace bullying. Most employees, 63% of workers, believe workplace bullying happens. What turkey fired the HIV-positive employee? Great article. This article hilights the precursors to more aggressive interactions in the workplace. This problem is growing at a rapid rate and a majority of organizations are slow to respond or respond ineffectively. Hawaii is a state that is in dire need of this type of legislation along with mandated training for managers on early intervention procedures as well as stronger policies stating zero tolerance for such activity. Targets, victims and witnesses of bullying have a few avenues to pursue (as compared with victims of sexual harassment) when subject to obvious acts of aggression, spreading malicious rumours, excluding someone socially or from certain projects, undermining or impeding a person’s work or opinions, unjustified exclusion from certain projects, removing areas of responsibility without cause, insulting a person’s habits, attitudes, or private life and intruding upon a person’s privacy. Others include being rude or belligerent, destroying property, assaulting an individual, or setting impossible deadlines. 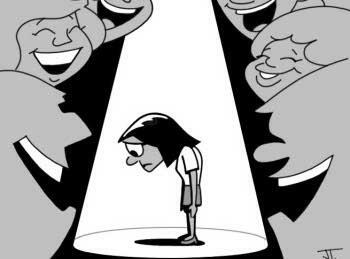 In the United States, although bullying is recognized as detrimental to occupational health, there is little political or corporate interest in stopping it. In schoolyard bullying, the bullies are children, whose behaviour is controlled by the leaders, i.e. the school administration. In workplace bullying, however, the bullies are often the leaders themselves, i.e., the managers and supervisors. Therefore, reporting a bully to the HR dept, for example, exposes the target/victim to the risk of even more bullying, slower career advancement, or even termination, on the grounds of being a “troublemaker!”.